We have Fitness Bicycles available for rent in the Century Cycles store in Rocky River. 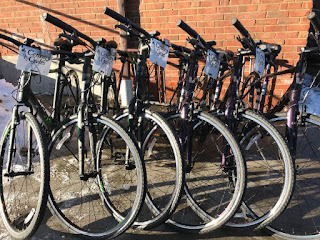 These bikes are our best-sellers, and are perfect to rent if don't have a bike of your own, but are looking for a fun way to enjoy a day out in our local parks! These bikes are sometimes referred to as "performance hybrid bikes" or "flat-bar road bikes." They feature lightweight aluminum frames, 24 speeds, hand brakes, and regular platform pedals. The tires are a "happy medium" 32mm wide, which makes them appropriate for riding on streets, but provide plenty of traction on bike paths. Not for use on mountain bike trails. We do not take reservations; bikes are available on a first-come, first-served basis only. Use of helmets is required. Helmets are provided with all rentals at no extra charge. 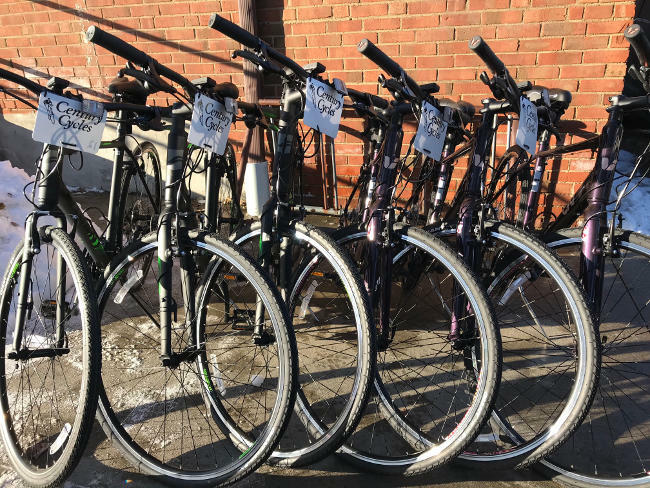 Our store is less than one mile from the entrance to the Cleveland Metroparks Rocky River Reservation, where you'll find a smooth paved All-Purpose Trail that is perfect for riding our fitness bikes. There is an easy route from the store to the park on quiet back streets and sidewalks.